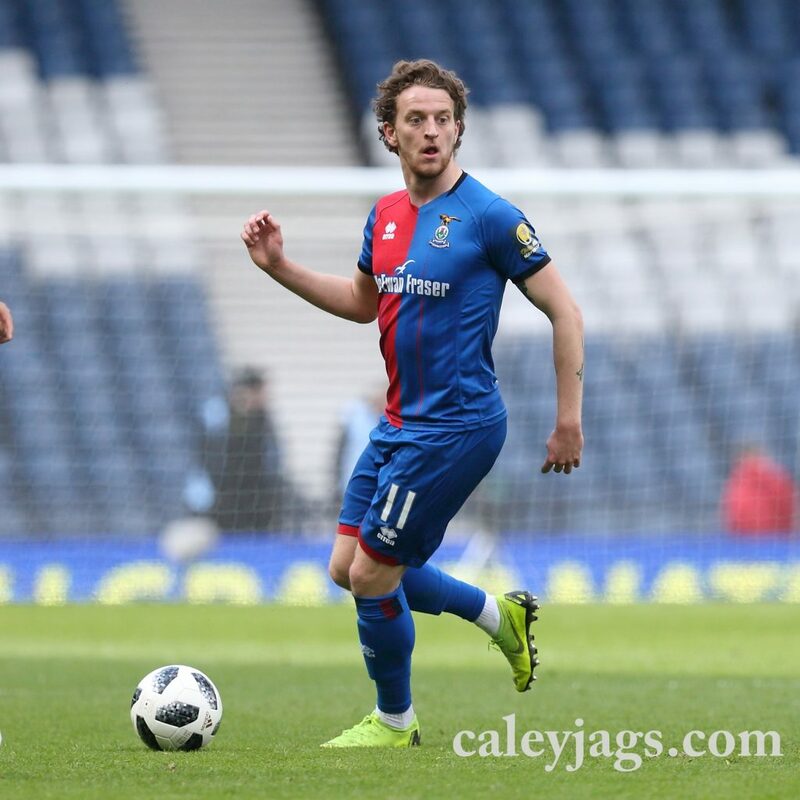 The Caley Jags fought valiantly at Hampden Stadium but their cup run came to an end in the William Hill Scottish Cup Semi-final against Hearts of Midlothian. 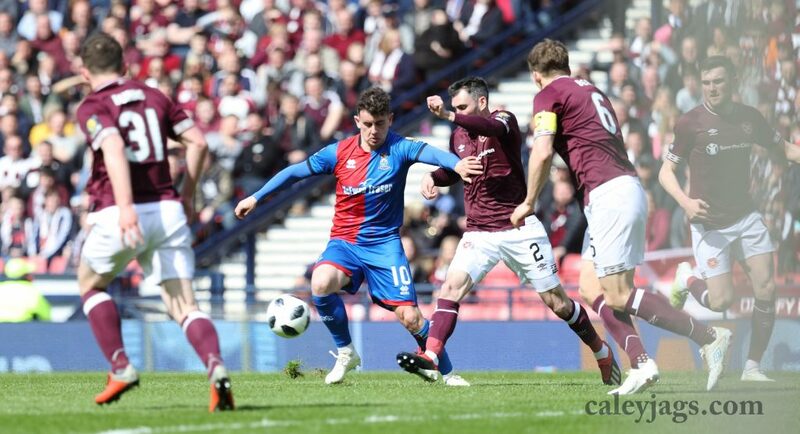 Hearts notched two goals from corners near the start of the second half, and then later added a third from the spot from substitute, Sean Clare. ICTFC had their own share of half chances, but it wasn’t enough to overcome the mounting deficit. 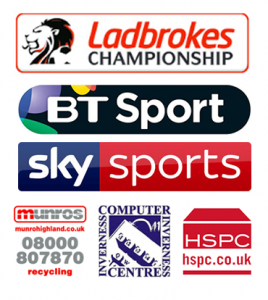 The game finished 3-0 to Hearts of Midlothian. Coll Donaldson was suspended for this fixture against the Jam Tarts, meaning Shaun Rooney was shuffled in as a RB, with Brad playing CB for the starting line-up. Kevin McHattie and Nathan Austin were subbed out for Trafford and McCart, after being rested in the recent Ayr game. 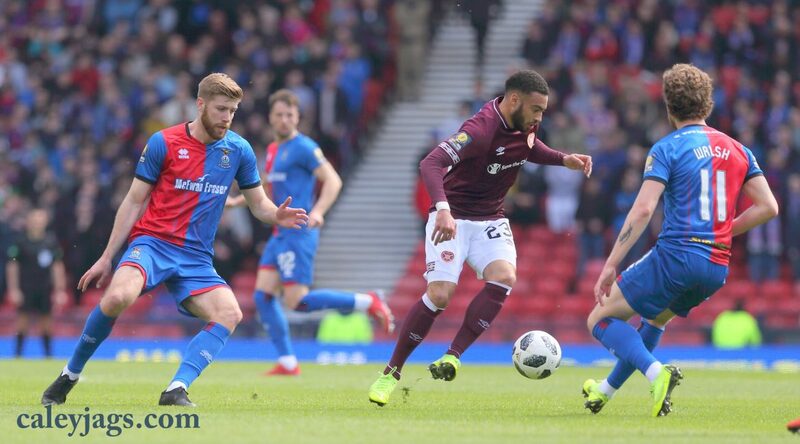 Sean Clare was the only change for Hearts from their last game, with Aidan Keena slotting in to be the second striker in a 4-4-2. The first half offered few clear-cut chances, with wingers on both sides of the pitch trying to exploit the spaces being created. 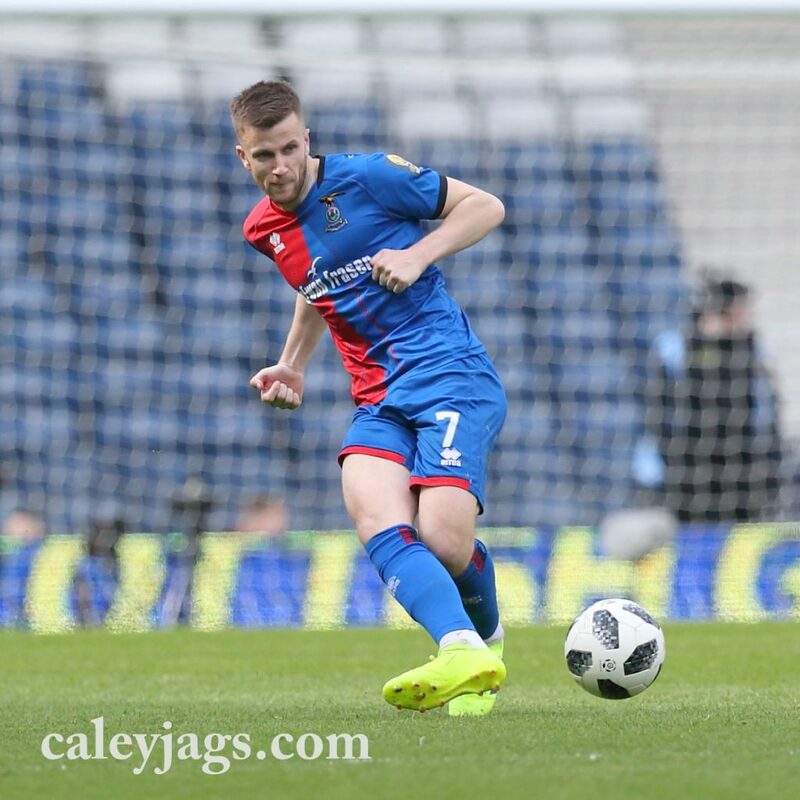 Both Oliver Lee and Jake Mulraney were tasked in probing our fullbacks, with the former Caley Jag especially causing some trouble down the left hand side for the Jam Tarts with his acceleration. From pitch stretching passes from Mark Ridgers, ICT were able to ask some questions of the Edinburgh side. At the ninth minute, Aaron Doran was allowed to cut inside from the left and into the middle to have a crack, but his shot was always rising. Hearts’ inability to break us down was causing some frustration for the fans who made the relatively short journey across Scotland. At the 15th minute, Christophe Berra had a pop inside the box but it was blocked by a lunging Jamie McCart and out for a corner; it was probably on target. Shortly afterwards, Jake Mulraney managed to deliver two threatening crosses after beating his man on the left hand side, with the first cross evading a maroon shirt and meeting the leg of Carl Tremarco. The first real chance fell to Hearts’ target man, Uche Ikpeazu. At the 29th minute, a long ball forward down the right was not claimed and Ikpeazu was free to work onto his left foot after making his way into the box. It was very tame and it rolled into Ridger’s hands on his right hand side. 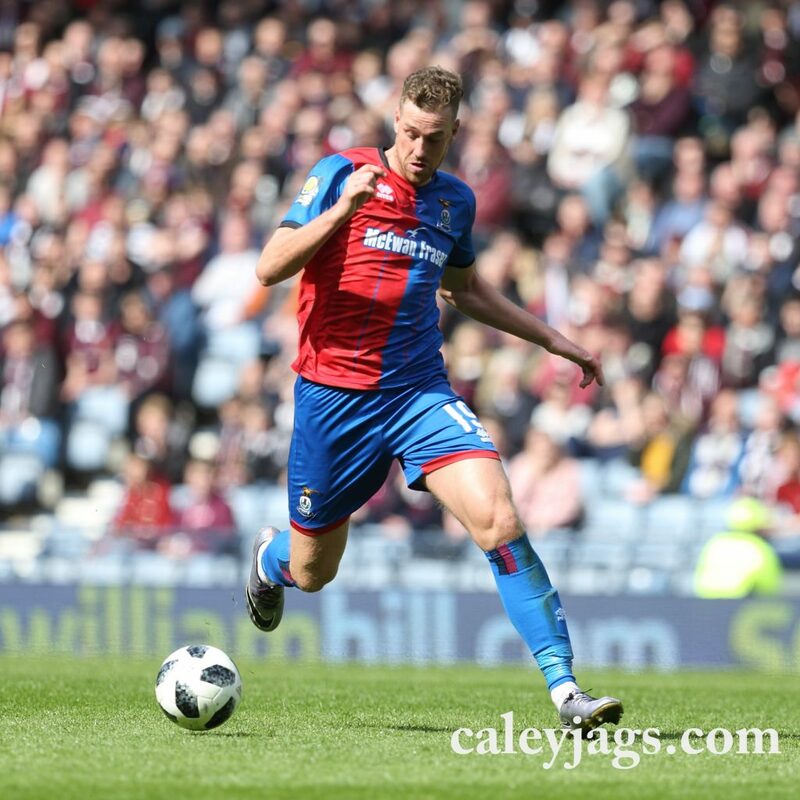 From the second half kick-off, Hearts attacked with more purpose and it became harder for the Caley Jags to beat them away. Oliver Lee was quick to have a go from 40 yards out and his dipping effort was threatening enough for Mark Ridgers to have to tip it over. Keena tried the same from closer to goal a minute later, but this time it wasn’t well caught and Ridgers had no problem dealing with it. But eventually Hearts would have the ball in the net with a fortunate chance landing their way. From the a short corner, Jake Mulraney was able to cut onto his right foot and shoot into a crowded six yard box and after it richocheted between off some legs, Ikpeazu was able to stretch to put an effort on target. From a set-piece, ICT almost drew level at the 55th minute. Polworth was fouled on the edge of the box and Chalmers beat the wall to put a shot into the top left corner. Somehow Bobby Zlamal managed to get a hand to it and to redirect it onto the frame of the goal and out. A few more moments later, ICT would have the ball in the net. Chalmers’ corner was cleared to Polworth 45 yards from goal and he passed back to Chalmers on the right hand side. His initial poor touch was recovered with a raking through ball to Jamie McCart in the box. The defender swivelled, evading his marker and then curled it spectacularly into the top corner. The linesman raised his flag to rule it as offside, with barely half a yard separating Jamie from the last man – a very tough call. 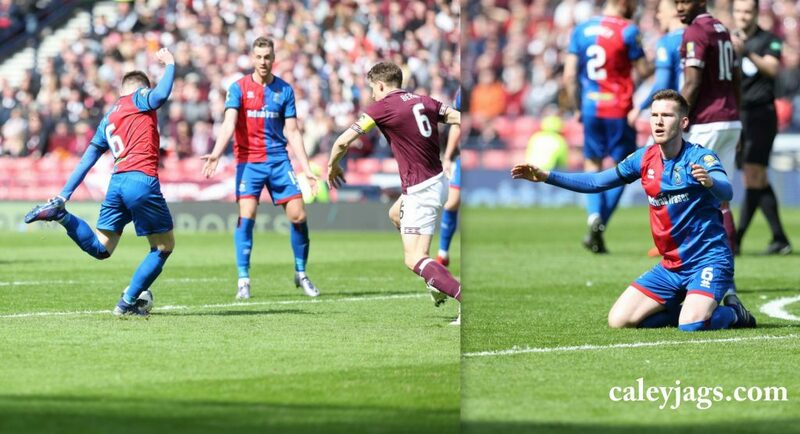 But Hearts would kill-off another chance of a Caley-induced heart attack by getting their second goal. Again from a corner, Lee’s cross was flicked on by a Caley head and it was met at the back post by John Souttar with a volley. 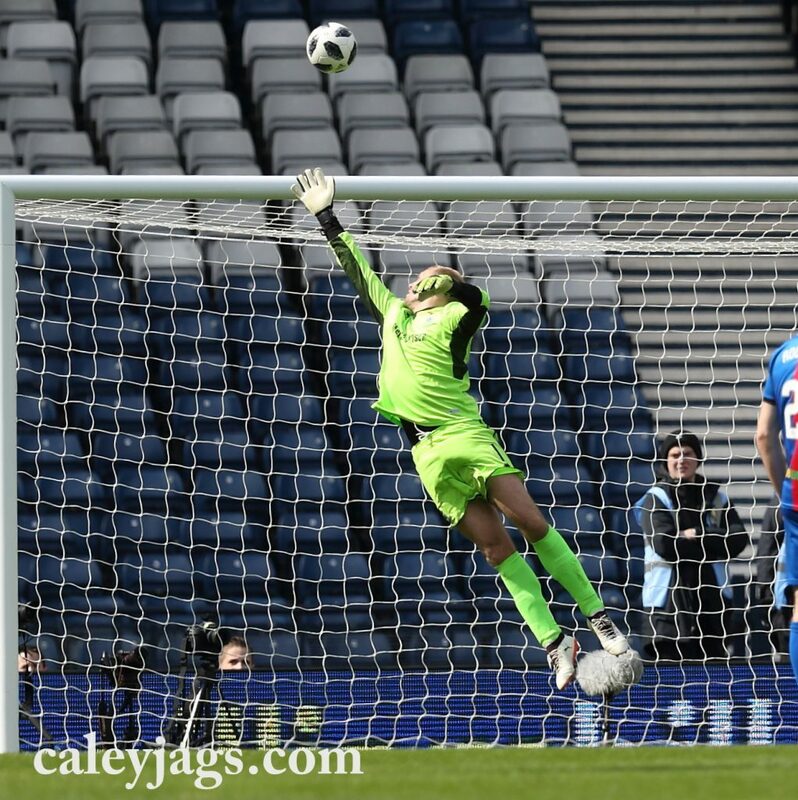 Joe Chalmers came close to adding a conciliatory goal when he hit a swerving shot towards the near post from outside, but Zlamal was again able to reach it to tip it around the post. And then Hearts added gloss with a third goal at the 73rd minute. Ridgers was adjudged to have fouled Ikpeazu when reaching for a loose ball and Don Robertson pointed to the spot. Recent substitute Sean Clare wrongfooted Ridgers and rolled it into the opposite corner. 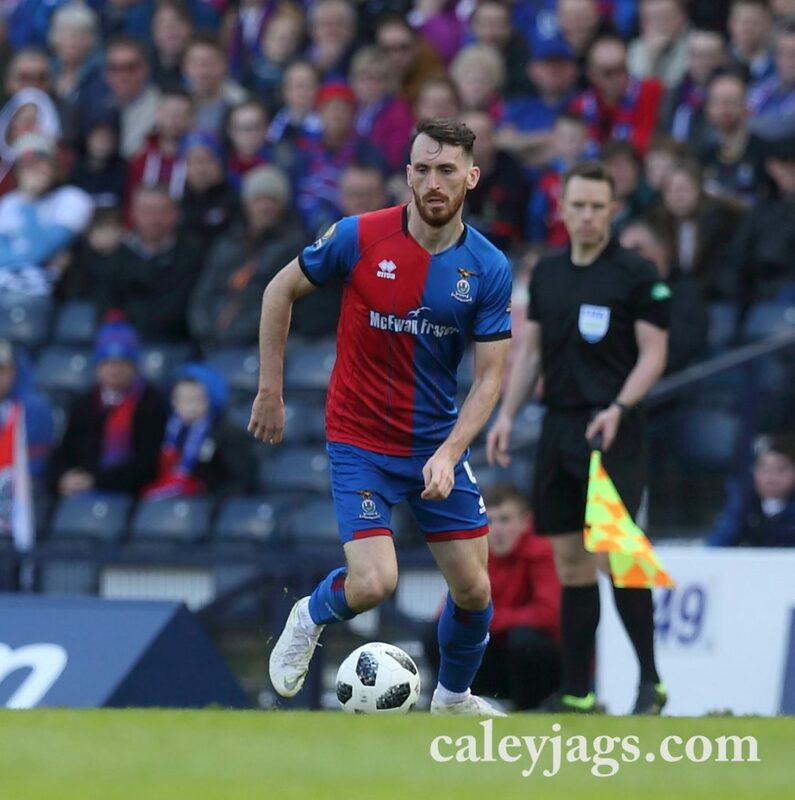 ICTFC will now turn their heads towards Morton in the league, as the Caley Jags aim to make it into the Play-offs.